Mazda2 Launch - Segovia Advertising & Design Inc. 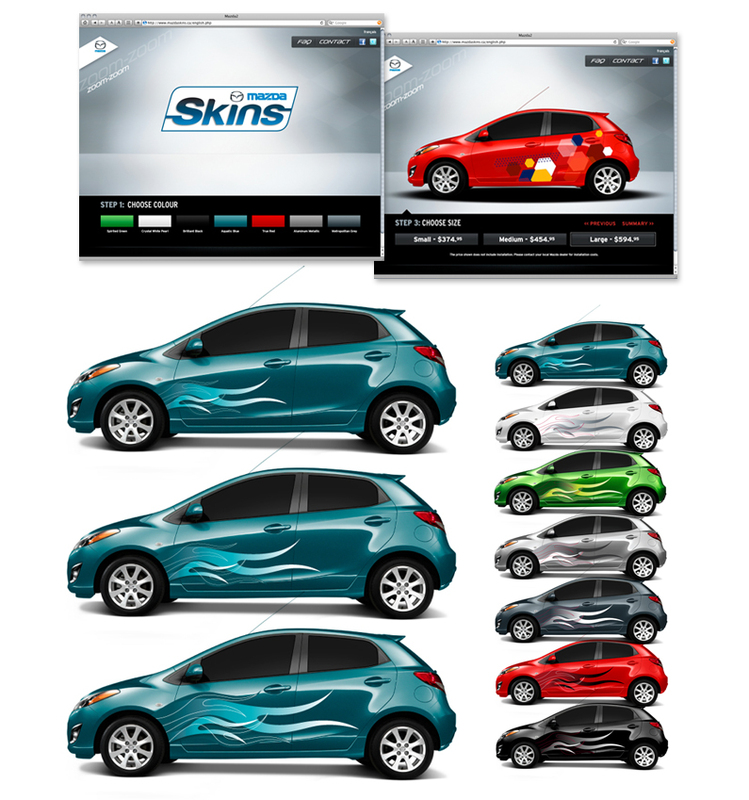 The MazdaSkins vehicle decal program was created for the launch of the Mazda2 in Canada. 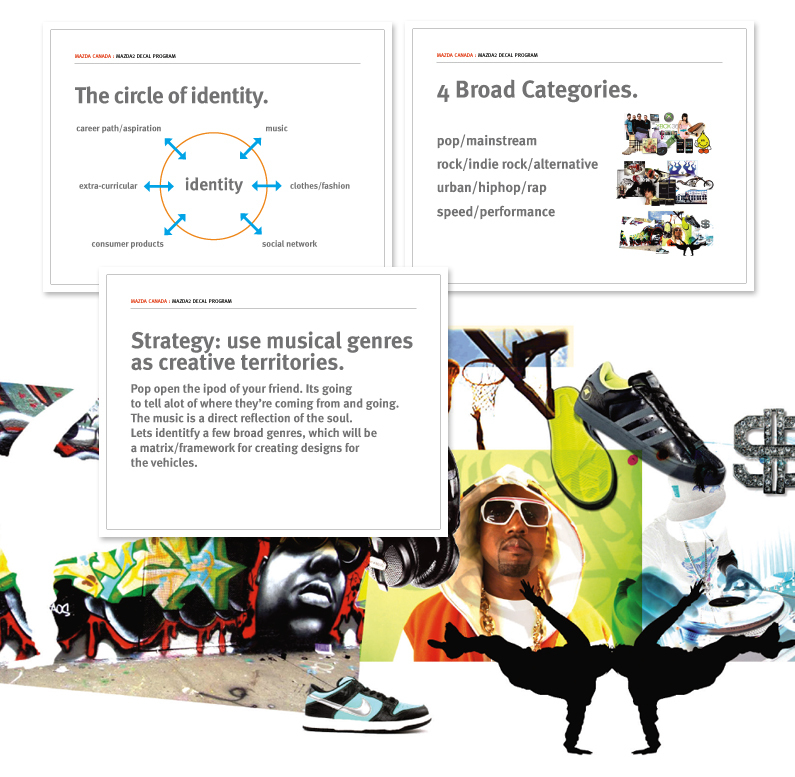 As a creative direction, musical genres inspired and created categorical thinking to outline and inform the graphic designs. Music – the thread of youth’s identity paralleled designs which could touch a wide audience. Over 20 final designs were chosen. 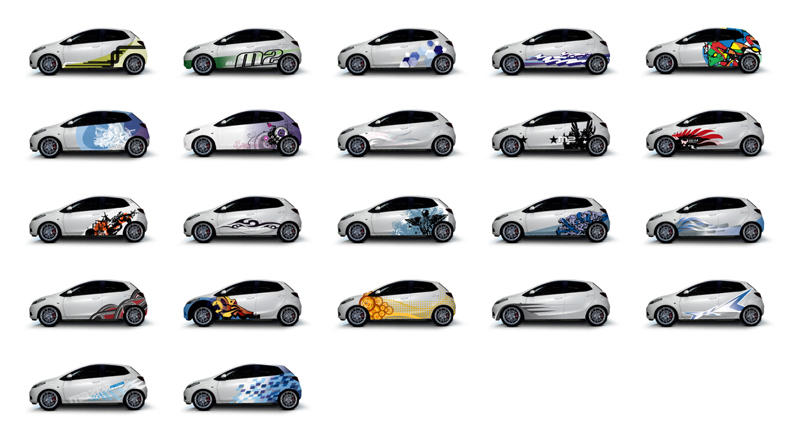 For each vehicle, a design had to have 3 size variations, as well as 8 colour options. A total of 22 designs x 3 sizes x 7 colours resulted in a final library of 462 decal variants. 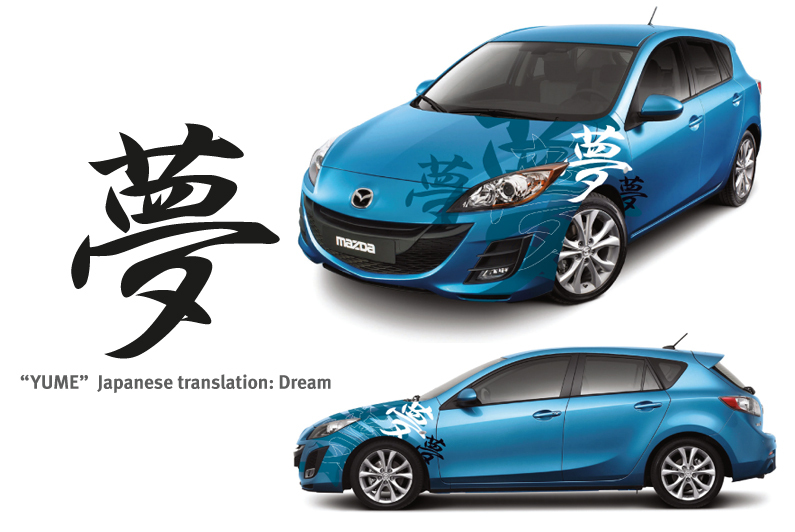 “Yume” was a special edition decal concept for the Mazda3. The kanji translated to “dream”.